When you give yourself the luxury of a few minutes of quiet time to just think, you realize just how cool this life is. We all meander in and out of each other's lives; sometimes only once in a blue moon, sometimes daily. But, regardless of frequency, these relationships are truly what life on this planet are all about. Neil and I live in an awesome neighborhood with neighbors that we've known for many years. Yeah, it's that kind of place. We move here, get to know each other and we never leave. We are Rosewood lifers. One such neighbor is Sharon. She and her sig-other James decided a few years ago to become farmers. They still live around the corner but they operate Carolina Bay Farms over in the Hopkins area. As I remember, it started with fresh eggs. But, just a few days ago, Neil ran into her and became aware that they are now raising heritage meats. He came home with a bag full o' pork chops! Tonight we cooked those little babies. Neil is big on really tasting the flavor of meat, so all we did was salt & pepper them. I seared them in my grill pan for about 2 minutes/side on high heat then transferred them to a 350 degree oven for about 20 minutes. Meanwhile, I made a mushroom/white wine sauce to serve alongside. In a word...perfect. The pork is so flavorful without a lot of "flavoring." No need to marinate, is what I'm saying. 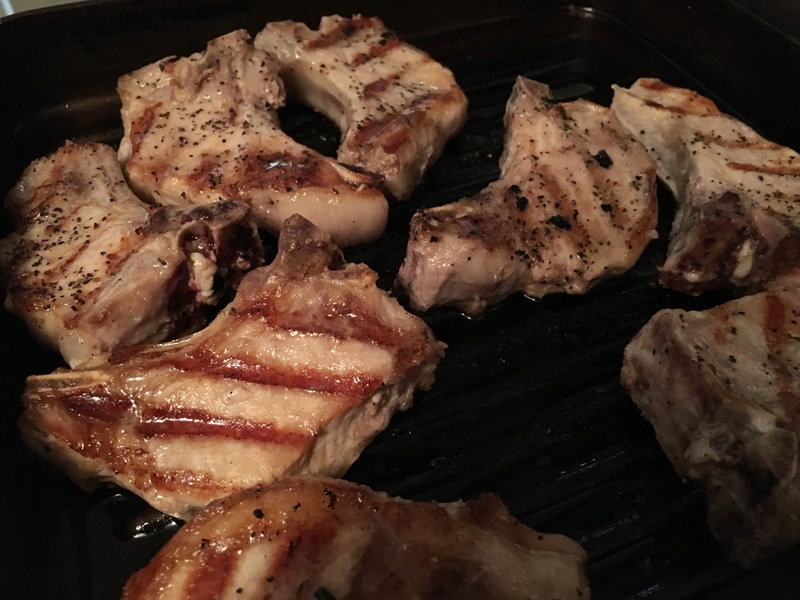 The time and method of my cooking resulted in a perfectly cooked yet moist pork chop, which you all know can be quite a challenge at times. I toasted some good Italian bread and served our chops with mushroom sauce over the bread and green peas on the side. As Wayne & Garth would say, SCHWIIING! So, if you have not heard about Carolina Bay Farms, please check them out. Thankfully, Columbia is hot and heavy (finally) on the farm-to-table and eat local movement. Sharon and James are doing good things just 20 minutes from town. Seek them out, support them and eat good pork chops! Rosewood Drive is one of Columbia's major thoroughfares. It's a retail/commercial corridor that those of us living in Rosewood and Shandon traverse and rely on daily. Our kids go to school on Rosewood, we shop at our Publix on Rosewood, we eat and shop in the Rosewood Market, treat ourselves at the Dairy Bar and Pelican's Sno-Balls, some of us even live right on Rosewood Drive. I can pretty much make my way up this street and get every errand accomplished and run into several of my neighbors along the way. This is exactly what my friend Stephanie Bridgers identifed and banked on when she decided to open The Local Buzz at the corner of Rosewood & Shandon Street. Stephanie loves coffee. She loves to serve coffee. She loves to bake. She loves her 4 kids and she loves all the kids they go to school with too. 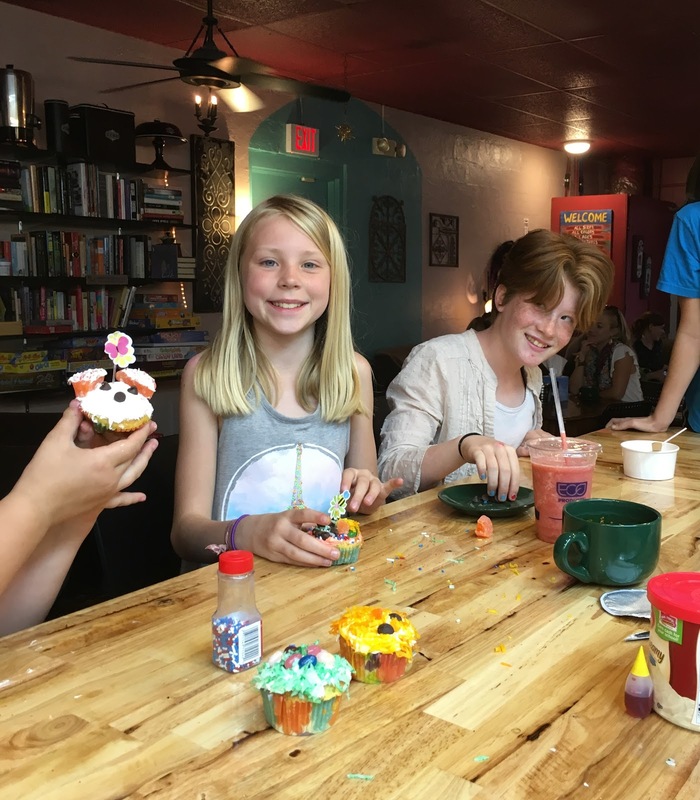 So, her idea for her coffee shop took on a shape that most business owners don't consider. It's the LOCAL buzz. See, that's significant for a few reasons. Obviously, she's a local. 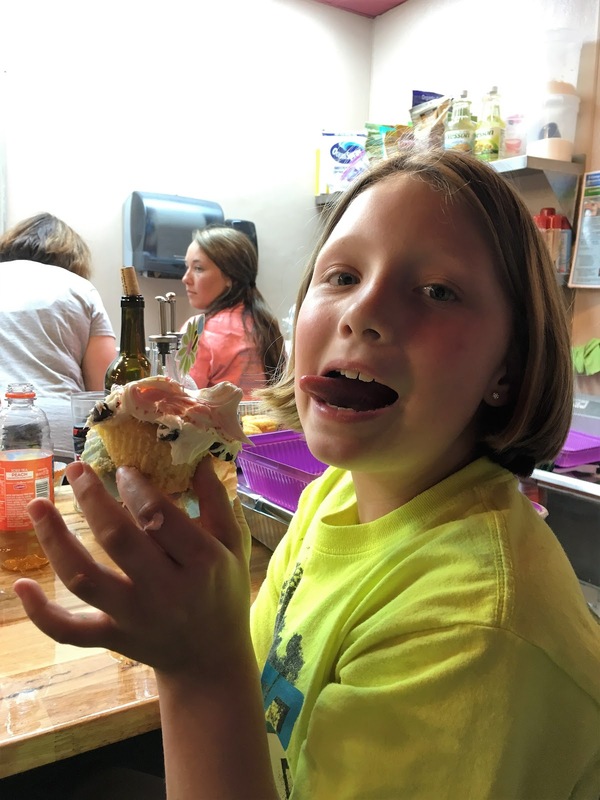 She sells other local businesses' wares (Double Trouble doughnuts, Silver Spoon Bakeshop, Sweet Cream Co. ice cream). But, what really sets The Local Buzz apart is Steph's vision and desire to make it a local hangout. And, she's been successful in achieving it. Kids and parents come in after school to tackle homework and eat ice cream. The morning crowd comes in for coffee, leaves their personal cup behind and the staff washes it and hangs it back on the wall for tomorrow. There is a little free library. She hosts "Rosewood weekends" where she donates some of the proceeds of Rosewood families' sales back to the PTO. She's hosted movie nights. And today was no different. 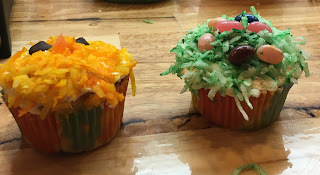 As the kids left school for Spring Break, they were invited in for an Easter cupcake decorating party. 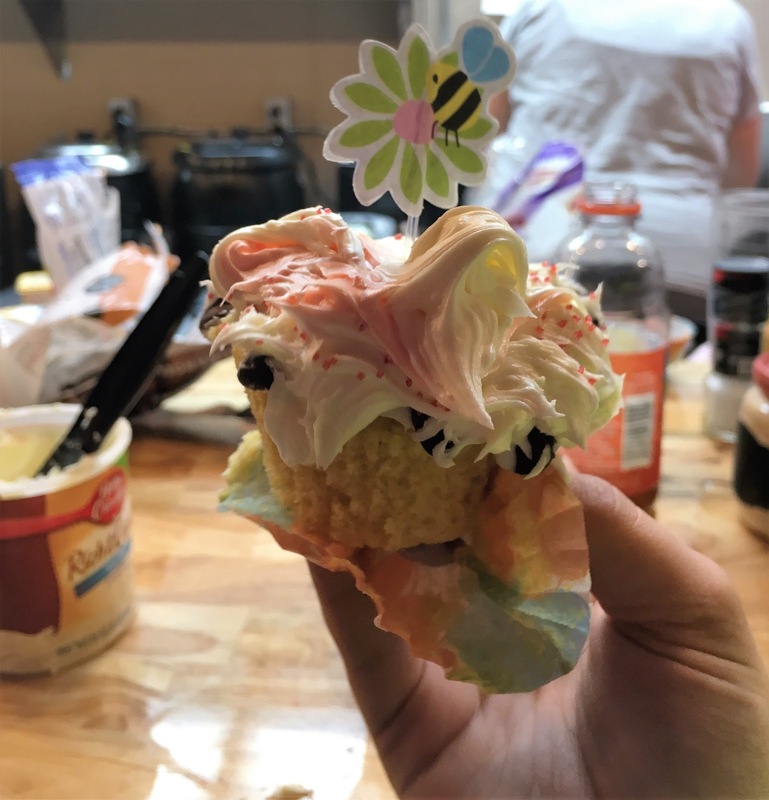 The kids were given a blank "canvas" cupcake, supplied with various decorating supplies and were then given free reign. As you can probably imagine, the kids were in heaven. Add in banana, strawberry and pineapple smoothies and you have a successful kid gathering! If you haven't made it to The Local Buzz, put this on your calendar. Preferably on a day when you can take your time, relax on the big sofa, read a book or just chat with friends. The coffee's great, the sandwiches and soups are homemade and the atmosphere is all community.